Steve Irwin's Family Brings Snake to Walk of Fame Ceremony! Steve Irwin received a posthumous star on the Hollywood Walk of Fame! The late crocodile hunter’s family – wife Terri and kids Bindi, 19, and son Bob, 14 – were on hand to accept the star on Thursday afternoon (April 26) in Hollywood. While they were there, the family posed for pictures with Steve‘s star while holding a huge snake! “He was the best and most incredible conservationist, but also the best dad,” Bob said at the ceremony. 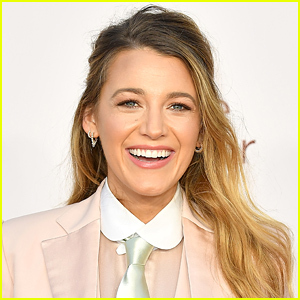 Other stars at the ceremony included Bindi’s longtime boyfriend Chandler Powell, TV personality Ross Mathews, and celebrity chef Curtis Stone. Bindi Irwin is remembering her late father in a super sweet Instagram post. The 18-year-old Dancing with the Stars winner took to Instagram to honor her late dad Steve Irwin on Australian Father’s Day. “Remembering these days. This is a 3 year old Bindi helping out with Dad’s documentary filming. Life is always changing and evolving and I’ll always be thankful that I learned so much from my dad. He taught me to treat every being on Earth the way you would wish to be treated. From the tiny ants to the enormous elephants,” Bindi began her post. May your heart be full and your day be filled with the ones you hold dear. Here’s to unconditional love and happiness beyond compare,” Bindi captioned the below video. Bindi Irwin is 'Beyond Excited' Her Late Dad Steve Will Receive Star on Walk of Fame! Bindi Irwin is honoring her late dad Steve Irwin‘s his latest honor! The 18-year-old conservationist took to Twitter to respond to news to her late father receiving a star on the Hollywood Walk of Fame in 2018. “Beyond excited to share with you all that we have just received news that Dad will be honoured with a star on the Hollywood Walk of Fame,” Bindi tweeted. Since Steve‘s death in 2006, Bindi has followed in her father’s footsteps in promoting environmentalism and protecting animals. 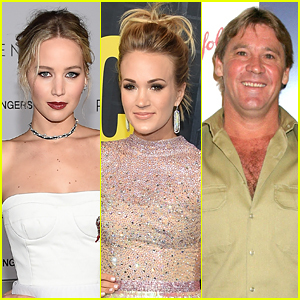 Jennifer Lawrence, Carrie Underwood, and the late Steve Irwin have all earned stars on next year’s Hollywood Walk of Fame! 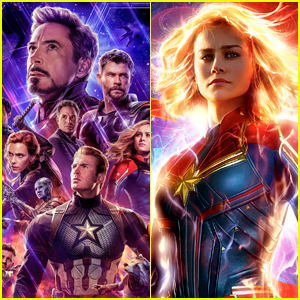 The Hollywood Chamber of Commerce announced the honorees on Thursday (June 22). 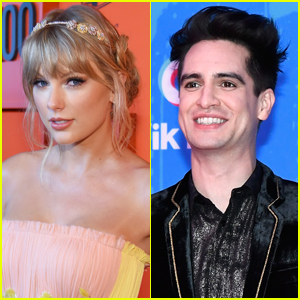 “The Committee looked carefully at each nominee, and we feel that we have selected an eclectic group of talent that will appeal to the tastes of many fans around the world,” Vin Di Bona, chair of the selection committee, said. 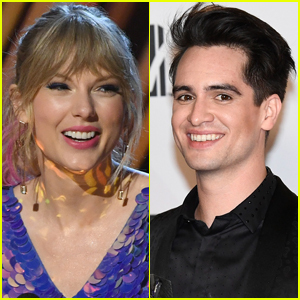 “As a Walk of Famer myself, I know these honorees will remember the dedication of their stars with great memories and will be proud that they are part of Hollywood’s history now and forever,” he added. Recipients have two years to schedule their ceremonies from the date of selection. Check out the full list of honorees below! Steve Irwin's Son Robert Makes His Return To 'The Tonight Show' - Watch Here! 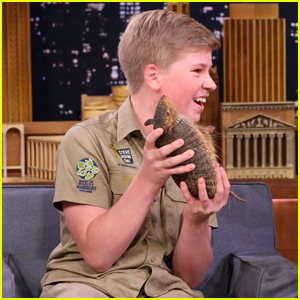 Steve Irwin‘s son Robert made his triumphant return to The Tonight Show Starring Jimmy Fallon last night (April 20), and stole our hearts all over again! The late Crocodile Hunter’s 13-year-old son, who first appeared back in February, brought a whole bunch of different critters along with him this time around – a legless lizard, a scorpion, baby black bears, and a Binturong named Orville that smells like popcorn. Steve Irwin‘s love for animals definitely runs in the family! 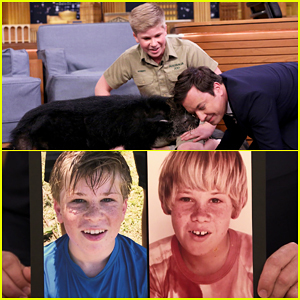 The late Crocodile Hunter’s 13-year-old son Robert has an infectious personality and a passion for animals, which he showed off on The Tonight Show on Thursday evening (February 16). Robert stopped by the show to bring out some exotic animals, including a dwarf crocodile, boa constrictor and a sloth, just like his dad did! “My dad was actually on The Tonight Show quite a while ago, and it’s really nice to follow in his footsteps. I think I am the luckiest kid on planet earth,” Robert explained.